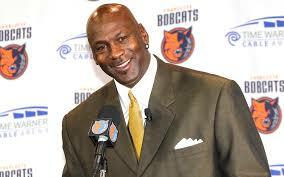 In February 2010, it was reported that Jordan was seeking majority ownership of the Bobcats. As February wore on, it emerged that the leading contenders for the team were Jordan and former Houston Rockets president George Postolos. On February 27, the Bobcats announced that Johnson had reached an agreement with Jordan and his group, MJ Basketball Holdings, to buy the team pending NBA approval. On March 17, the NBA Board of Governors unanimously approved Jordan’s purchase, making him the first former player ever to become the majority owner of an NBA team. It also made him the league’s only African-American majority owner.